John Holt, was a reggae singer and songwriter from Jamaica who first found fame as a member of Reggae band The Paragons, after which he established himself as a solo artist. Holt was born in the Greenwich Farm area of Kingston, Jamaica, in 1947. His mother Amy was a nurse. By the age of 12, he was a regular entrant in talent contests run at Jamaican theatres by Vere Johns, winning 28 contests, some broadcast live on Radio Jamaica. He recorded his first single in 1963 with “Forever I’ll Stay”/”I Cried a Tear” for record producer Leslie Kong, and also recorded a duet with Alton Ellis, “Rum Bumper”, for producer Vincent “Randy” Chin. In 1965 John Holt joined Bob Andy, Garth “Tyrone” Evans, and Junior Menz in their group the Binders; Menz departed to be replaced by Howard Barrett and thats when they changed their name to The Paragons. They initially recorded for Clement “Coxsone” Dodd’s Studio One before cutting a succession of singles for Duke Reid at his Treasure Isle Studio in the rocksteady era of 1966–1968; They enjoyed a string of hits, including “Ali Baba”, “Tonight”, “I See Your Face”, and the Holt-penned “The Tide Is High” (later made famous by Blondie and also covered by Atomic Kitten). “Wear You to the Ball” was another of his hits with the Paragons, and it made the charts again when U-Roy (whom he had introduced to Duke Reid) recorded a Deejay version over it. With Andy having left early on, the departures of Barrett (in 1969) and Evans (in 1970), who had both won scholarships in the US, brought the group to an end.During his time with the Paragons, he also recorded solo material for Bunny Lee (“Tonight”), and Harry J. He subsequently concentrated on his solo career, recording for Prince Buster (“Oh Girl”, “Rain From the Skies”), Reid (“Stealing Stealing”, “Ali Baba”), Dodd (including “Fancy Make-up”, “A Love I Can Feel”, “Let’s Build Our Dreams” and “OK Fred”), Alvin Ranglin(“Strange Things”), and Phil Pratt (“My Heart Is Gone”). 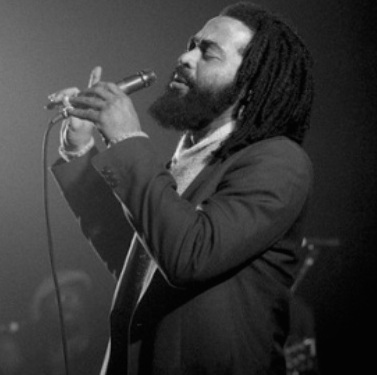 By the early 1970s,John Holt was one of the biggest stars of reggae, and his work with producer Lee was key to his success;”Stick By Me” was the biggest selling Jamaican record of 1972, one of a number of records recorded with Lee. His 1973 Harry Mudie-produced album, Time Is The Master, was successful, with orchestral arrangements recorded in London by Tony Ashfield. The success of the string-laden reggae led to Trojan Records issuing a series of similarly arranged albums produced by Ashfield starting with the 1,000 Volts of Holt in 1973, a compilation of Holt’s reggae cover versions of popular hits (and later followed by similarly named releases up to the Lee-produced 3,000 Volts of Holt). 1,000 Volts spawned the UK Top 10 hit “Help Me Make It Through the Night” (written by Kris Kristofferson), which peaked at number 6 and included covers of Billy Joel’s “Just the Way You Are” and “Touch Me in the Morning” by Diana Ross. He achieved success back in Jamaica in 1976 with “Up Park Camp” (on a reworking of the Heptones’ “Get In the Groove” rhythm), and his success continued into the 1980s with tracks such as “Police in Helicopter” and “Fat She Fat”, recorded with producer Henry “Junjo” Lawes, and a standout appearance at the 1982 Reggae Sunsplash festival. “Police in Helicopter” was a condemnation of the Jamaican government’s crackdown on marijuana plantations, and indicated the increasing importance of Rastafari in Holt’s life, reflected in his growing of locks and a beard. He continued to tour regularly, performed several times at Sunsplash in the 1990s, and performed in the United Kingdom with the Royal Philharmonic Concert Orchestra, with a live album taken from these shows released in 2001. Holt’s style, notably slower and more romantic than most of his contemporaries, is a recognisable forerunner of the lovers rock subgenre. His song “Man Next Door” has been covered by numerous other reggae artists, including Dennis Brown, UB40 and Horace Andy. The latter sang in a more electronic vein for the Massive Attack album Mezzanine. Having been taken ill at the One Love Festival on 16 August, John Holt died on 19 October 2014 in the Wellington Hospital in London. He had been diagnosed with colon cancer in June 2014. He is survived by his wife Valerie, 10 children, and 20 grandchildren. His funeral took place on 17 November at the Cathedral of the Most Holy Trinity in Kingston, and featured performances by U-Roy, The Silvertones, Tinga Stewart, Boris Gardiner, George Nooks, Luciano,Carlene Davis, Ken Boothe, and members of Holt’s family, backed by Lloyd Parks and the We the People Band. He was buried at Dovecot Memorial Park.